The Federal government is being urged to take a leadership role in introducing a scheme for pill-testing at music festivals in a new study. 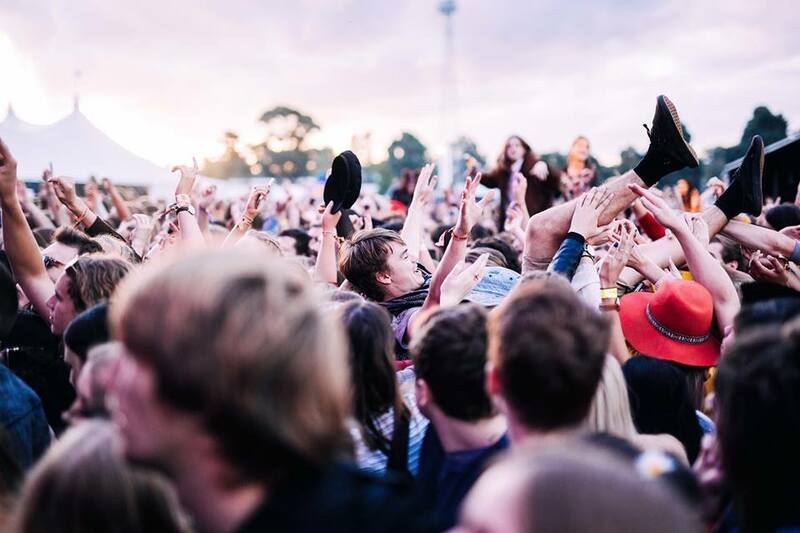 It was released this morning by the Safety and Testing Advisory Service at Festivals and Events (STA-SAFE), which did Australia’s first official festival pill-testing at Groovin The Moo in Canberra in April. 125 of the festival’s 20,000 patrons visited the low-profile testing tent, and 83 drugs were tested. The harm reduction test was deemed an “overwhelming success” in the report. Among the aims of the test were to see the purity level of the drugs, as well as the type and quantity of substances they were cut with; how many patrons would discard them, the legality of such tests, and to collect data for future planning. Only 46% of the tested drugs were deemed relatively pure. 70 of 83 participants who tested MDMA tabs found that only 42 contained some amount of MDMA and just 32 tested a high concentration of the drug. Of three tests on cocaine, only one was relatively pure. The added ingredients from all tests ranged from toothpaste, caffeine and dietary supplements to the hallucinogen ketamine and N-ethylpentylone, a drug which sent 11 New Zealand festival-goers to hospital this year. Almost half (42%) indicated they would change their drug intake. 18% said they would discard their pills in the amnesty bins provided. The age of participants ranged from 15 to 47, and all but one were ACT and NSW residents. 45% of those taking part were aged 20 or younger with more men than women partaking in the pilot. Those over 20 were more likely to have sourced their drugs from a dealer. Up to 62% of the younger demographic bought from friends. A small percentage, 4%-5%, got them online. That the ACT supports “further front -of-house pill testing, as part of a commitment to harm reduction services”. That “appropriately sized and signed facilities” for pill-testing be negotiated with all stakeholders before an event. That all state and territory governments engage in discussions with their counterparts in the ACT government on the matter. That these governments use the knowledge and experience of the STA-SAFE consortium. That the federal government take a national leadership role in advancing a mixed-model approach to pill testing as a harm reduction service across Australia, where front-of-house testing services are delivered on-site at music events and festivals, as well as at fixed locations, such as participating public health, drug and alcohol and needle and syringe programs”. That all levels of government work together with the STA-SAFE consortium to establish a national pill testing evaluation framework, as well as an ongoing public early warning system (EWS) of all drug test results. ACT health minister Meegan Fitzharris said the success of the pill-testing trial had shown there was demand for the service at future events. “This will assist to better understand how pill testing may help reduce the harms of illicit drug use at festivals and will inform next steps and future drug policy,” she said. The STA-SAFE consortium consists of Harm Reduction Australia, Australian Drug Observatory, Australian National University, Noffs Foundation DanceWize, Harm Reduction Victoria and Students for Sensible Drug Policy Australia.